Want to play like Gareth Bale? Then you'll need to have speed and and a quick reaction time. 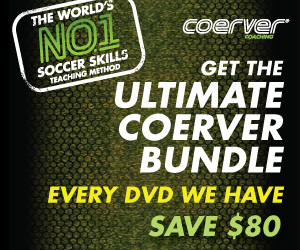 Be the quickest off the mark with this soccer speed training drill designed by Alfred Galustian, head of Coerver Coaching. Defenders have one universal fear – pace. A player can master the art of defending, but there’s no defence against pure, explosive speed. Just ask Inter Milan’s Brazilian right back Maicon. Before the Nerazzurri took on Tottenham at White Hart Lane in the Champions League in November he was regarded as peerless, but he was made to look like a leaden footed donkey trudging through treacle by Spurs’ jet heeled speed demon Gareth Bale. Natural speed is one thing, quickness of mind is another. To have both makes for an exceptional footballer. 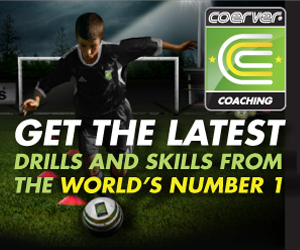 Alfred Galustian, head of Coerver Coaching, has devised a set of drills to help you harness both weapons. Watch this video and note down the drill. Soon enough you’ll be leaving a string of helpless defenders in your wake.